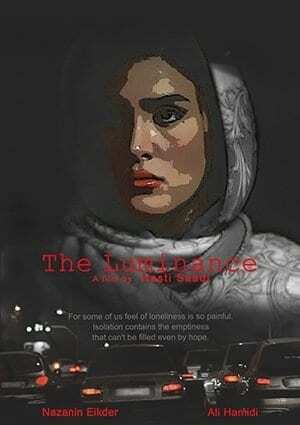 The Luminance, a short about finding human connection, will be coming to the Cannes Film Festival’s Court de Metrage in May 2013. A man seeks out an arbitrary connection and finds it with a prostitute. The two seek a cure for their loneliness in Tehran and find that they have more in common than what appears at first glance. Iranian filmmaker, Hasti Saadi, who came from Iran and moved to Toronto at age 17 with her family, brings a touching tale of the search for understanding and companionship. The short follows a man who is in desperate need to converse with someone who refrains from judging him and he finds that quality in a prostitute whom he doesn’t expect any physical release from. He only wishes to use the woman as a release for his feelings about his past and to transcend the issues with his mother. Through his venting he finds a human connection. “The idea of the light in the film is because it takes place mostly in the dark and some people seek light in the darkness,” Hasti Saadi comments about the short. Hasti also highlights that there is a need for the Iranian people to welcome the human exchanges. “Fathers do not speak to their children. Mothers either in one direction. People no longer know how to talk. There is of course politics, but it should start with “putting your own house first” that is what many people of my generation think,” says Saadi. The Luminance has been reworked several times over the years and is finally making its debut at the Cannes Court de Metrage. Filmmakers will be available for interview.